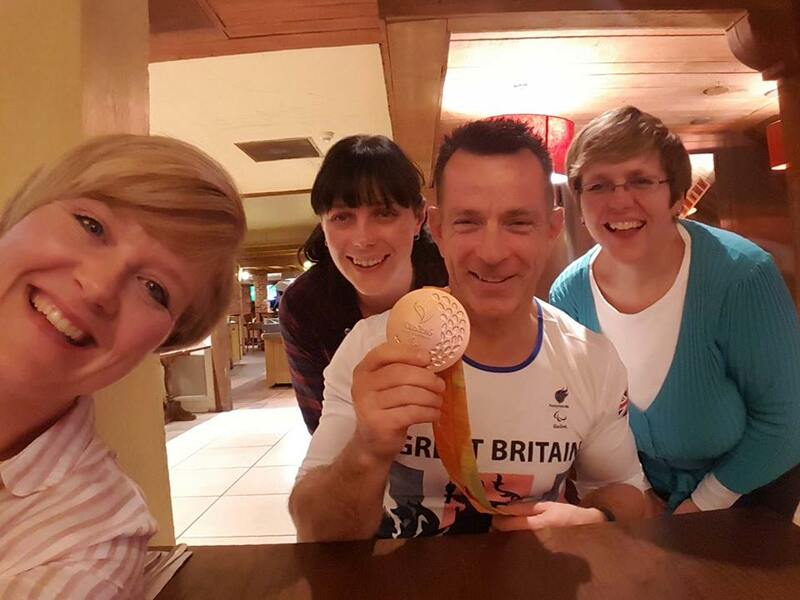 With Pic: Ian Marsden (centre) and his Olympic medal, with Sam Warrilow, Emily Petts and Stephanie Talbot of the Alice Charity. Paralympic medallist and British Champion Ian Marsden has a new goal – championing the plight of vulnerable families in Stoke-on-Trent and Newcastle-under-Lyme. Ian’s remarkable sporting career was crowned with a Bronze medal at the 2016 Rio games when he was just a vest-width away from a para-canoeing Gold. Now the Trentham athlete is joining forces with Alice Charity which works to relieve poverty for families in North Staffordshire. As Alice Charity’s Patron, Ian will take the charity’s message of hope into schools, colleges and workplaces throughout the area. “The Alice Charity is a force for good in North Staffordshire and I’m determined to help them to make a difference,” said Ian. “As a Paralympian with a story to tell, I am fortunate to be asked to go into schools and attend events to talk. I can offer my expertise in this area to spread awareness of Alice Charity. “I also want to get involved in Alice’s events and we are working on an exciting programme for 2017. He has had a glittering and varied career which saw him win a world championship as a powerlifter before a rare motor-neurone type condition forced him to retire from the sport and look at other sporting avenues to pursue. Ian then became UK number one at hand cycling before making the Great Britain squad in rifle shooting. He switched to para-canoeing in 2011 and has twice been crowned as European champion, won a silver at the World Championships and is looking to repeat his Olympic success in Tokyo in 2020. To find out more about Alice Charity, please go online to www.alicecharity.com.